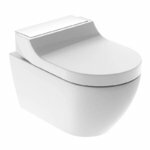 Get the big bathroom brands, safely and securely, buying from a company with all the security of a "bricks and mortar" showroom base, but an easy to use on-line presence that offers great savings to you, the end user. We sell nearly all brands, just call 01923 802525 or drop us an email at contracts@dxbathrooms.com with your list of requirements and let us see if we can better your existing deal or suggest alternates that will save you money. Aqualisa Rise digital showers, control at the touch of a button. We sell the full range in pack format online at the best prices.